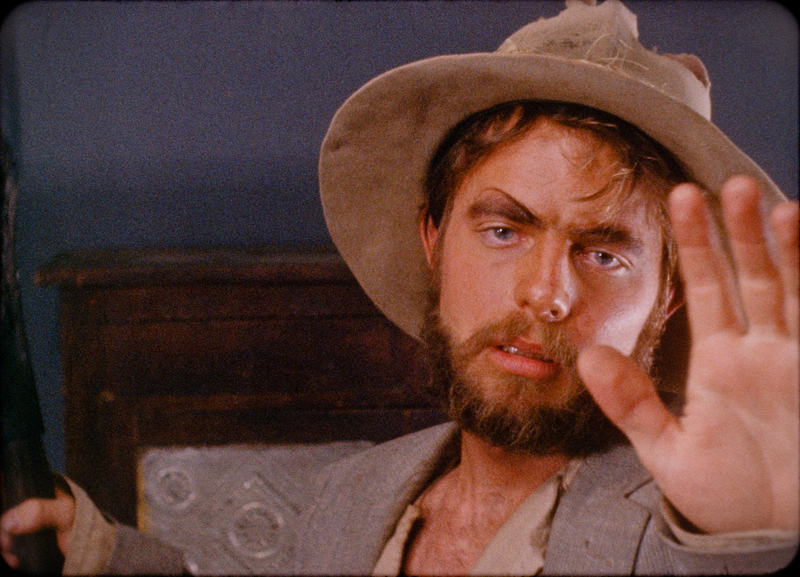 Torgo, the strangest (and unintentionally funniest) character of the film, stares into space. More dreadful than Plan 9 From Outer Space, stupider than Santa Clause Conquers the Martians, and even a worse production than Troll 2, Manos: The Hands of Fate is the ultimate bad movie and undoubtedly the worst of all time. Now you may not have heard of this film and its notoriety. That’s probably what gave Manos it’s legacy. The film is really obscure and wasn’t well known to the public until Mystery Science Theater 3000 did an episode on it. You know how you and friends always joke that one particularly bad movie must have been the result of a bet? Manos: The Hands of Fate was. Harold Warren, the film’s director, made a bet with Oscar-winning screenwriter Stirling Silliphant that anyone could make a horror film. Silliphant accepted the bet, and Warren made the film under a budget of $19,000 (about $136,098 today). Warren filmed the movie in the local town El Paso, where most of the actors were so excited about the film that they worked for free. But Warren still couldn’t afford good equipment or a steady crew, and the acting is terrible. Manos: The Hands of Fate is about a family going on vacation. The family consists of Michael (Warren), Margaret (Diane Mahree), and Debbie (Jackey Neyman). They lose their way in the desert and stop at a lodge run by a guy named Torgo (Jon Reynolds). I could easily call Torgo the worst movie character of all time (in your face Jar Jar Binks!). Is Torgo supposed to be a monster? He has oversized knees and speaks in a stutter, plus he has the weirdest theme music ever. From the Wikipedia page, Torgo is supposed to be a satyr, a fact never mentioned or even brought up in the film. Michael and his family notice that strange things are happening at the lodge, which they express with little or no emotion at all. Soon they discover the Master of the lodge (who Torgo blabbers about the entire movie, saying things like “the Master will not approve”), who runs a cult with his many wives. I mentioned before Manos: The Hands of Fate was intended to be a horror movie. But the fact is nothing in the movie is remotely scary, but just stupid. Manos is the Spanish word for hands, meaning that the title is actually Hands: The Hands of Fate. When Warren screened the movie to El Paso, the audience laughed at the film and threw their shoes at the screen during the credits. The next day, the local paper wrote a review, criticizing the film for its redundant dialogue and poor audio. After that, Manos was forgotten, until Mystery Science Theater 3000, the TV series which featured a man mock movies with his robot friends, found the episode, and were shocked by its awfulness. Joel, Crow, and Tom Servo riff on the movie’s uneven editing and continuity errors (almost every single shot is off-cut), the Master and his dog, the really long sequence that just showed the family driving around in the car, a couple smooching in a car (apparently for the entire movie) that has nothing to do with the plot, the fact that the police, who discovered about the missing family, only looked for a few seconds for them, and most off all Torgo (who is parodied in the episode by MST3K writer and future host Mike Nelson). Plus throughout the episode, the show’s villains Dr. Forrester and TV’s Frank apologize for playing the film, saying it was even way beyond their limits. 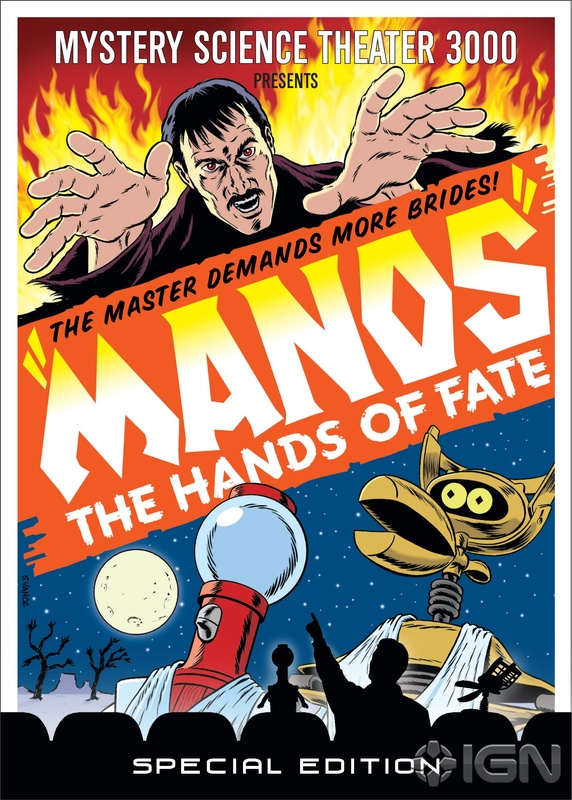 Though Manos: The Hands of Fate may be the worst movie of all time, it made perhaps MST3K‘s finest episode. Warren later stated he was proud of Manos, even though he admitted it was probably the worst film of all time. He might of liked MST3K‘s riff on the film, but he died in 1985. For those of you interested in seeing Manos, you can go on youtube and search for MST3K‘s version (the film may be unbearable without it). And more exciting news comes as former MST3K cast members Mike Nelson, Kevin Murphy, and Bill Corbett said they will re-riff Manos in August for RiffTrax. So Warren, you have something to be proud of.